Pipe don’t freeze up, but the water inside them could. Specially when temperature levels plummet, the water expands as it becomes ice and might exert enough pressure to rupture a pipe wall or break apart a pipes joint. Such leaks, if undetected immediately, can cause considerable damage to floors, carpets, dry-wall and insulation. 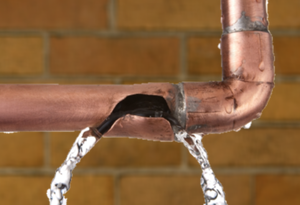 Burst copper pipe used to supply water to plumbing fixtures or to circulate water to baseboard heaters (radiators) are common sources of leaks. Pipe could likewise break for reasons aside from freezing, such as when a carpenter accidentally drill a nail through one, however freezing is probably the most common cause of pipes leaking. 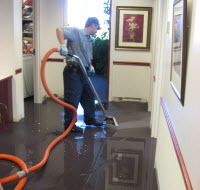 When leaking or burst pipes water damage take place, AllStates Restoration is the contractor to call to for wet carpet dry out, cleanup, and restore your home or business. If you are dealing with floods or water damage from an emergency pipe burst, leaking pipes, or frozen pipes, contact AllStates Restoration. When experiencing water emergencies, fast attention to the situation will minimize damage and property loss. Our certified field technicians and water damage remediation crew will work directly with your insurance provider in regards to your pipe repair and water cleanup services and your insurance claim. Call us today. We are ready to take your call and send our disaster water clean-up crew to assist you and get rid of water from flooding. We have crew available 24/7 to dispatch to your place any-where in NJ, NY, Southern CT or Western PA service area to perform water removal, cleanup, drying and restoration. Call us today at 888-651-2532 for a FREE examination and FREE estimate for leaking pipes plumbing services and residential water damage repair services. 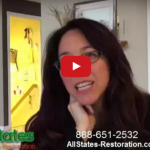 Every winter during harsh freezing weather condition, the telephones ring off the hook at AllStates Restoration office. Dropping winter temperature levels can trigger comprehensive water damages when pipes freeze and break. Even a small crack in your water pipe can cause enough water to leak and flood your home or business. 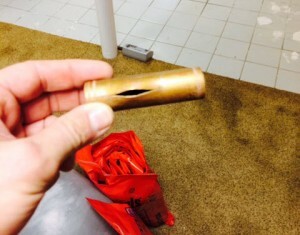 In reality, in simply one day, 250 gallons of water can be released from a 1/8-inch pipe crack. The resulting flood water can trigger damage to floors, walls, ceiling, furniture and other personal belongings. If you’ve a frozen pipe or a burst pipe, [wc_highlight color=”yellow”]contact AllStates Restoration right away for emergency burst pipe flooding services at 888-651-2532[/wc_highlight]. It is very important to call our NY and NJ base water damage restoration company when you find a leak or flooded basement to prevent major water damage to your house or business and possessions. 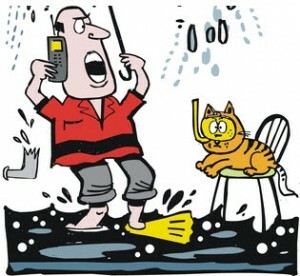 Allstates will clean-up any water from flooding, repair your pipes and complete any needed property restoration. Typical Causes for Leaking, Burst, or Frozen Pipes. Tips – Exactly what to do when your frozen pipes burst. Shut off the main water valve right away. It’s normally located in a basement or energy room. Quick action can decrease damage from a burst pipe. 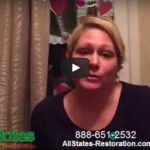 Call AllStates Restoration right away. We have operators standing by 24/7. Instead of getting a recorded message, you can talk with a real person about your emergency. Our emergency water removal crews are typically able to respond within one hours and manage the burst pipes clean-up and repair procedure. Keep in mind where the sound of running water is coming from. Shut off the primary water valve, if you can do it safely, and call AllStates Restoration. Do not take safety risks when you have flooded basement due to a burst piping. Contact with an electrical switch or gadget while you are standing in water can cause shock or electrocution. It’s much better to hold off for AllStates Restoration professionals to pull in to be sure safe water extraction and water damage repair service. Pickup and move valuable items. As long as you can do so safely, move stuff that is wet or might be damaged by standing water. You can relocate these products to a dry place and take steps to clean and dry them out. 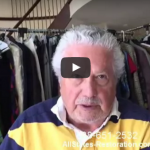 AllStates Restoration repairs and cleansup water damage from burst frozen pipes, dripping pipes and cleans up water damage from drain, sink, toilet & water heater over-flows. Fridge & Ice Maker Leaking. A/C & Heater (HVAC) Unit Leaks. Our professional water cleanup technicians are certified through the IICRC. Contact us for residential and commercial water damage restoration and plumbing and home appliance water leak or overflow clean-up services in NJ and NY area. To schedule Burst and Frozen Pipe Cleanup appointment, call 888-651-2532 or click here.